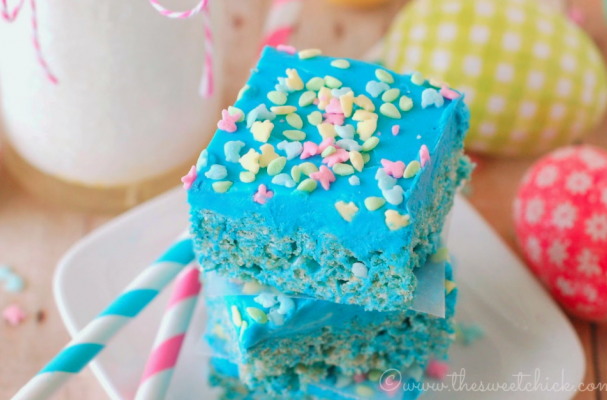 Blue raspberry rice cereal treats from The Sweet Chick are a fun Easter treat that doesn't require an oven. Rice cereal is combined with butter and blue raspberry marshmallows. Once set, the treats are topped with a blue raspberry frosting. Use Easter themed cookie cutters to shape these rice cereal treats into eggs, chicks and bunny rabbits. This is also a good recipe for gluten-free eaters. To make a batch yourself, click here.